The course PHP Programming Fundamentals is intended for Web developers who want to learn how to use PHP (PHP Hypertext Preprocessor) for writing dynamic Web pages. To participate in this course HTML knowledge is required. Programming knowledge is beneficial for a rapid understanding. The concepts are discussed on the basis of presentation slides and demos. The theory is interspersed with exercises. The course is done with PHP 7 which is installed in a WAMP package with the Apache Web server and MySQL. Participants receive an official certificate PHP Programming after successful completion of the course. The course PHP Programming Fundamentals covers the basic principles of the HTML-embedded scripting language PHP. PHP stands for Personal Hypertext Preprocessor, is available on Windows and Linux and is intended for developing dynamic Web pages. The course discusses PHP version 7 and also the differences between PHP 5 and PHP 7 are discussed. 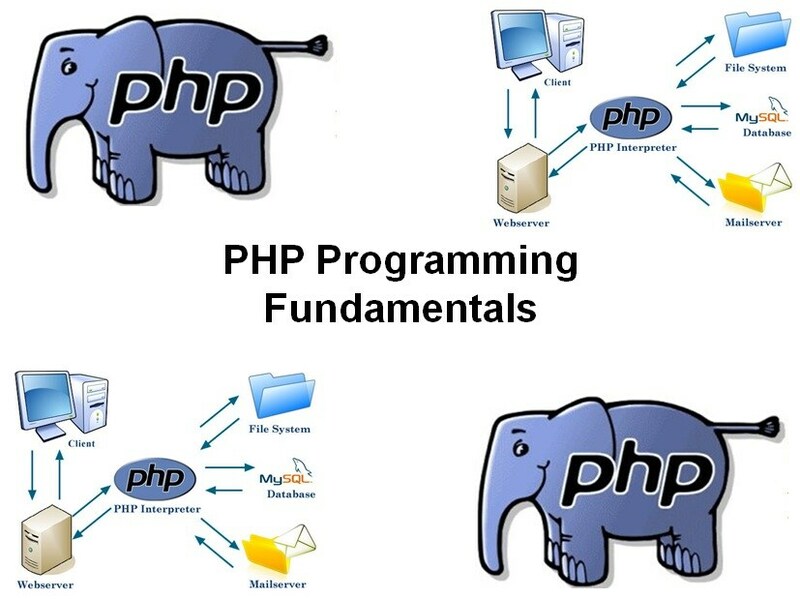 PHP borrows much of its syntax from C, Java and Perl and also has an extensive library of functions. During the course participants work on a case study which consists of a number of follow-up exercises. Participants learn to program with variables, data types, operators and control flow constructs of the PHP language. PHP functions and arrays are also addressed. Central element of the course is the way to generate dynamic Web pages with PHP. Attention is also paid to submitting Web Forms, reading input parameters, handling errors, handling cookies and working with sessions. Finally it is discussed how PHP can be used for accessing MySQL databases and files on the server. An optional module, if time permits, is the validation of input forms using PHP. In conjunction with the course Advanced PHP Programming this course covers the requirements for the Zend PHP Certification exam.